British optical retail chain Specsavers has released a hilarious new ad. 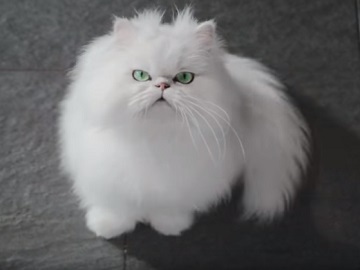 The 30-second spot opens with a white fluffy cat who is presented as Snowdrop, jumping up in the air several times as if trying to reach something. After several failed attempts, the miffed moggy gives up, realizing it’s impossibile for him to get to that high point. As the advert ends, it turns out a short-sighted human had made the pet door in the upper part of the house door. “Should’ve gone to Specsavers,” an onscreen line reads at the end of the spot, while the man is seen grabbing his bag of tools and moving on, leaving behind Snowdrop on the other side of the door. Specsavers has also promoted its free hearing tests, over the time, with a series of hilarious new ads airing on ITV, highlighting that Specsavers Audiologists are Sponsors of Afternoons on the TV channel. Specsavers states that their audiology professionals are members of Audiology associations and have been trained to help you choose the best solution for your hearing loss, taking into account not only your lifestyle, but also your budget.